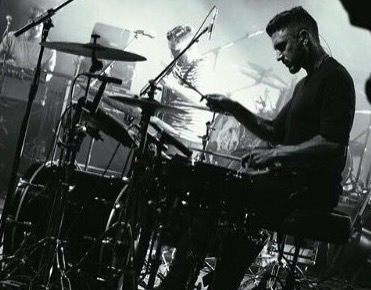 Drummer Ben Thomas who gave up his job as a music teacher to join Uckfield's Rag 'n' Bone Man on the road. Rag ‘n’ Bone Man is urging fans to vote for his drummer and former Uckfield schoolmate in a competition to find the Best New Drummer of 2017. If you’d like to vote for Ben you can do so by after following this link to the musicradar website. Here’s a story carried on Uckfield News in February which will tell you more about Ben who gave up his job as a music teacher to join Rag ‘n’ Bone Man Rory Graham on the road. 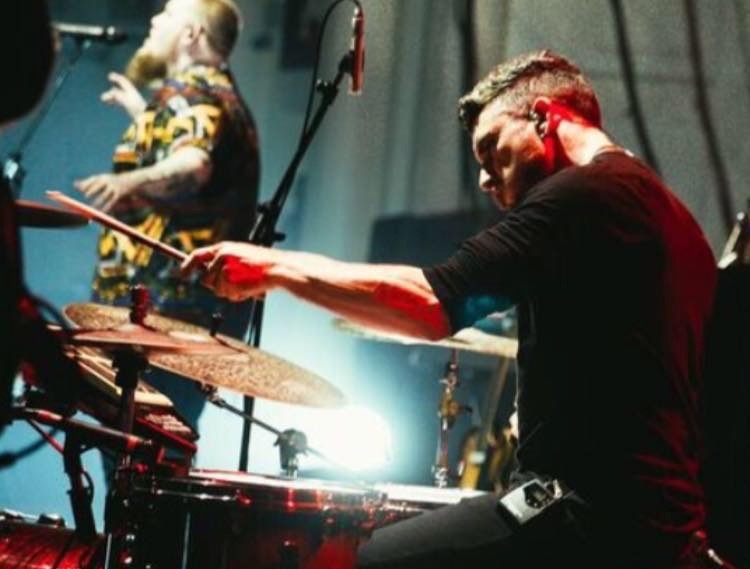 Music teacher Ben Thomas is giving up his job to concentrate full-time on his role as a drummer with Uckfield’s Rag ‘n’ Bone Man. The former Uckfield Community Technology College student, now aged 30, is joining his former schoolmate Rory Graham who is achieving chart success as the Rag ‘n’ Bone man. Ben, originally from Buxted but now living in Brighton learned to drum with East Sussex Music from the age of 11 and has been a teacher for nine years. Ben Thomas drumming with Rag ‘n’ Bone Man Rory Graham who he went to school with. 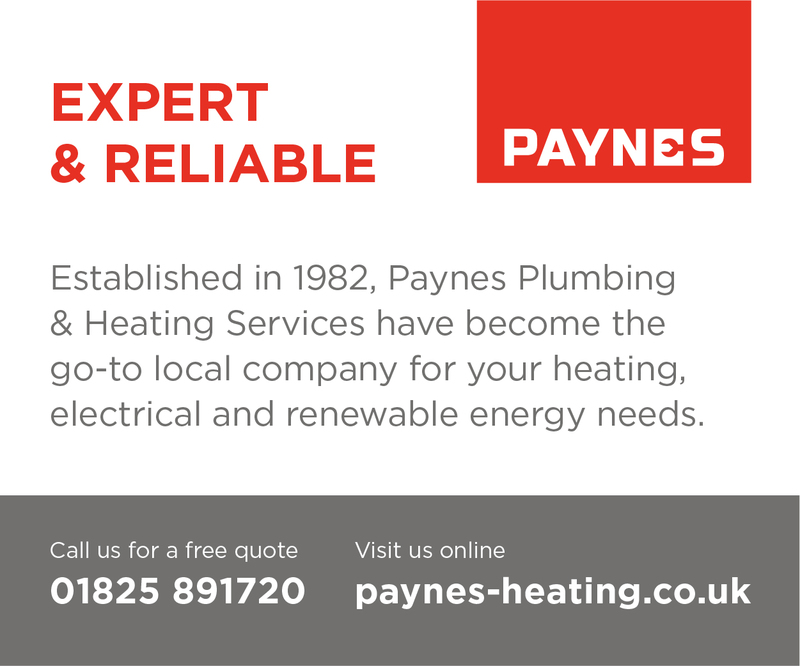 He said: “It’s going to be difficult to leave it behind because I’ve been with some of the kids from primary school through to sixth form, but you have to take these opportunities when they come along. “I’ve really enjoyed it and it’s been inspiring, especially when you see a student come in the next day and they’ve done what you asked them to do and put the extra work in. Rag ‘n’ Bone Man Rory began his musical journey as a rapper before finding success with his blend of blues, eletro-soul and hip-hop. 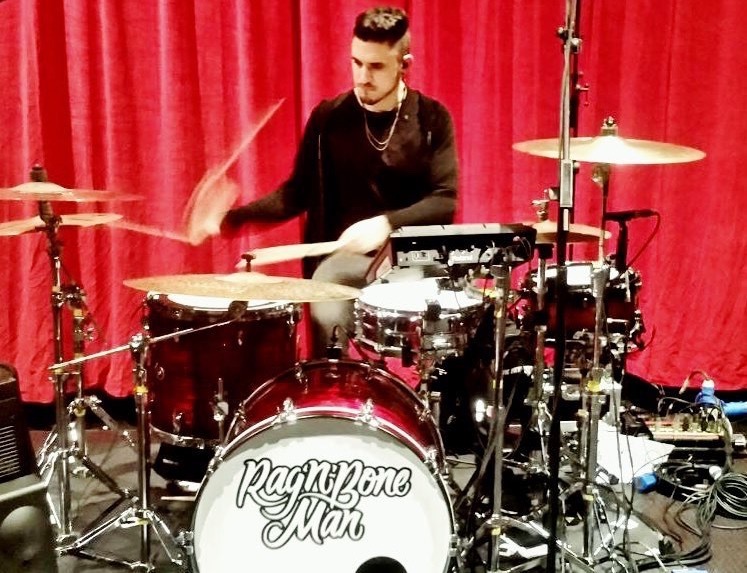 Music teacher Ben Thomas, now to drum full-time with Rag ‘n’ Bone Man. He topped the charts across Europe last year with his hit single Human, and his album of the same name was released last week, coinciding with a flurry of media interest, including an appearance on the Graham Norton Show. Ben said: “With someone as talented as Rory, I always knew it’s something that had legs, but I don’t think anything could have prepared me for the way it’s exploded recently. Lucy Morgan-Jones, head of East Sussex Music, said: “We’re really sad to lose Ben from our teaching staff but we and all the students are really excited and thrilled that he’s able to take up this fantastic opportunity.